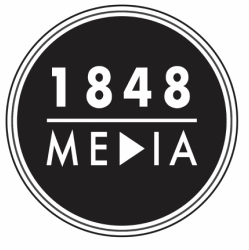 When working with 1848 Media, you’ll never be treated as a ‘client,’ but instead as a fellow Producer. We want to make you a part of the filmmaking process. From script to screen, this kind of work really is pure collaboration. When producing video content, one of the primary jobs is to assemble the right team, and keep everyone "on the same page" throughout the whole process. London is a creative hub, which allows us to tailor-make each production, sourcing a variety of talented, established artists and technicians. This kind of approach keeps the 1848 Media studio delivering fresh and original work, with every new brief. Sam is a director and cinematographer, most well-known for his documentary work for 'Dazed' and 'Vice'. Eben is a feature film cinematographer, who has also worked frequently with 'The Guardian'. Alex is an animator, and motion graphics artist, working with clients such as 'Channel 4' and 'Nissan'. Mel is a make-up artist, working in film, fashion and advertising. Her clients include 'Dove' and 'Beats By Dre'.